Stonehaven Breckenridge are the most affordable single family residences located across the street from the Breckenridge Golf Club in Breckenridge CO Real Estate. Located off Tiger Road near the Highlands at Breckenridge subdivision the residences are only a few miles from Main Street Breckenridge. Built between 1999 – 2001 there are a total of 24 homes, 7 – 3 bedrooms and 17 – 4 bedrooms ranging from 1968 – 2587 square feet. The homes at Stonehaven Breckenridge all have log detail throughout, 2 car garage and are situated on 2 stories with the entrance and guest bedrooms on the first floor while the kitchen, living room, master bedroom and deck are located on the main level. Some homes come with their own private hot tub as well. Being situated near the Breckenridge Golf Club gives owners at Stonehaven Breckenridge direct access to golfing in the summer, nordic skiing and snowshoeing in the winter at the Breckenridge Golf Club/Gold Run Nordic Center. Nearby Highlands at Breckenridge subdivision also offers hiking pedestrian trails and just down Tiger Road across Highway 9 is the bike path that can take bikers, joggers and runners to Breckenridge, Frisco, Dillon, Silverthorne, Keystone even as far as Copper Mountain and Vail. 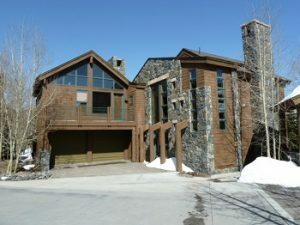 If you are looking for homes for sale in Breckenridge CO or Summit County Real Estate take a look at Stonehaven Breckenridge they are one of a kind. To arrange a private showing of Stonehaven Breckenridge properties or other Breckenridge Real Estate, contact Justin and Krystal Knott with LIV Sotheby’s International Realty.